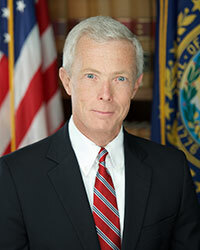 NH Attorney General Gordon MacDonald. Editor’s note: The following is a news release issued by Attorney General Gordon MacDonald Monday night. The names and genders of the deceased people have not been released, but it doesn’t explain why they are being withheld. Attorney General Gordon J. MacDonald, New Hampshire State Police Colonel Christopher J. Wagner, and Hooksett Police Chief Janet Bouchard announce that an investigation is ongoing into two suspicious deaths in Hooksett, New Hampshire. The deceased are adults. This is an unfolding investigation and additional information will be provided as soon as possible while still protecting the integrity of the investigation.